INFASHIONLOVE.COM: Nails Inc. Gel Effect Polish in Downtown! Hey Beauty Lovers! First of all I had to go short because unfortunately one of the nails snapped right at the base, and honestly I prefer wearing long nails to short, so in a couple of week I should be back on track. But more importantly I am absolutely loving this Nails Inc. Gel Effect Polish! Downtown is one of the newer shades I believe, it's a beautiful cool-toned juicy pink with a cream finish. 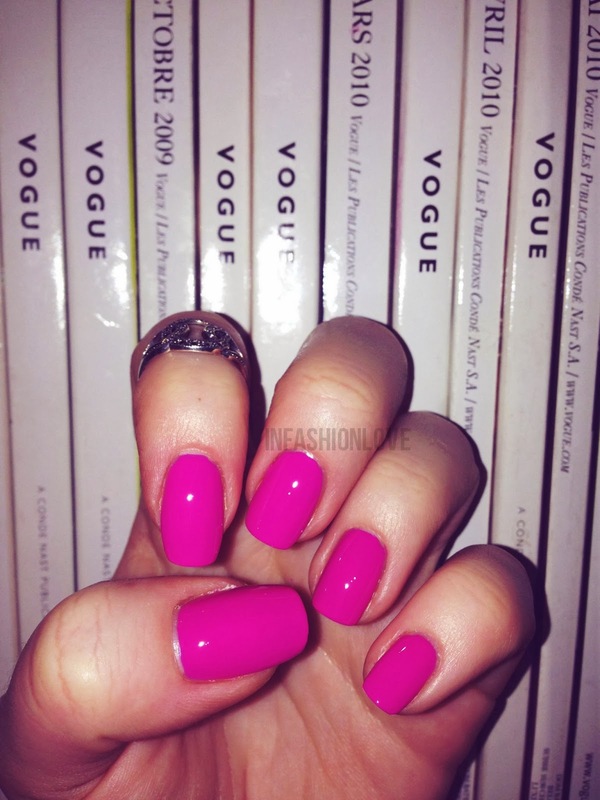 Although it's a hot pink it's not obnoxious, it looks chic and can totally be worn during a/w as well. I'd say it's one of those super flattering bright shades that looks amazing throughout the entire year! And of course I love [x3] this formula, it's super pigmented, super smooth, and super shiny!